The Marco Island City Council has given direction to city staff on major changes to the city's requirements for sidewalks. Major changes are coming to the city of Marco Island’s sidewalk ordinance. After a moratorium was placed last year on enforcement, City Council has given direction to city staff on a number of issues that will put less burden on homeowners. 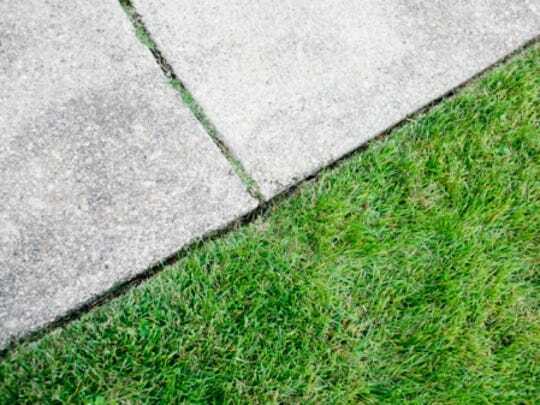 Under the current ordinance, each homeowner in the city is responsible for the construction and maintenance of sidewalks in front of their property. However, issues from homeowners have arisen about having to construct sidewalks on vacant lots and redo entire sidewalks when a small percentage of it is in disrepair. Amending the code to no longer require sidewalks on vacant lots. Calling the requirement a financial burden, Councilor Victor Rios opposed the requirement as it would make homeowners pay twice if development occurred. “I have a problem with having people with vacant lots to put a sidewalk that’s going to be destroyed when they start constructing a home or whatever,” Rios said. While he agreed with amending the code, Councilor Larry Honig also asked the city to diagram areas around schools and see what would be involved if it created a school zone where sidewalks would be required. Asked if sidewalks for arterial and collector streets would not solve the sidewalk issue in school zones, Pinter said no. With council in agreement, city staff will come back with an amendment to the code that no longer requires sidewalks on vacant lots. As for improved lots and PUDs with no sidewalks, the Council was also opposed to imposing a requirement on homeowners. For special districts like Hideaway Beach, Olde Marco and Key Marco, councilors recognized how unpopular changes would be not only to adding the financial burden but the environment. “It’s a question about recognizing the nature of the community,” Honig said. Councilor Jared Grifoni agreed and said that council needed to recognize that there were certain areas where it needed to exercise common sense. Rios disagreed with the council and said that in his opinion, the city was creating different classes of citizens by having different rules. The council was also in agreement on how it will treat homeowners with asphalt sidewalks. Pinter asked the council if it wanted to allow asphalt sidewalks in need of repair to remain the same material or require concrete. “If you have an undeveloped lot with asphalt sidewalk that needs to be repaired, it can be done with asphalt,” Council Chairperson Erik Brechnitz said. Homeowners will also see a major change when they will need to replace their sidewalks. City Manager David Harden said it was his belief that the previous city manager did not have the authority to make that requirement. Under the proposed change, it would now require more than 50 percent of a sidewalk to be in disrepair before replacement or concrete leveling is required.